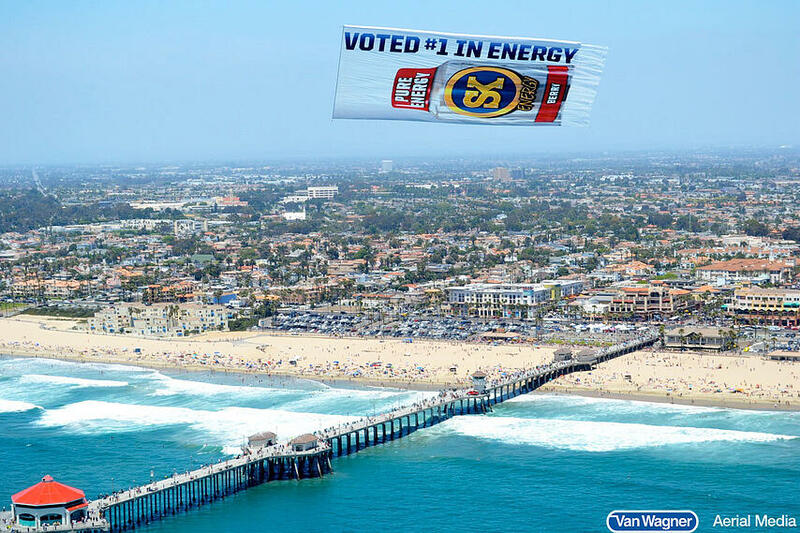 As Los Angeles is one of the largest advertising markets in the US, Van Wagner Aerial Media strategically placed one of our offices here to provide aerial advertising solutions to the city of LA and surrounding areas. 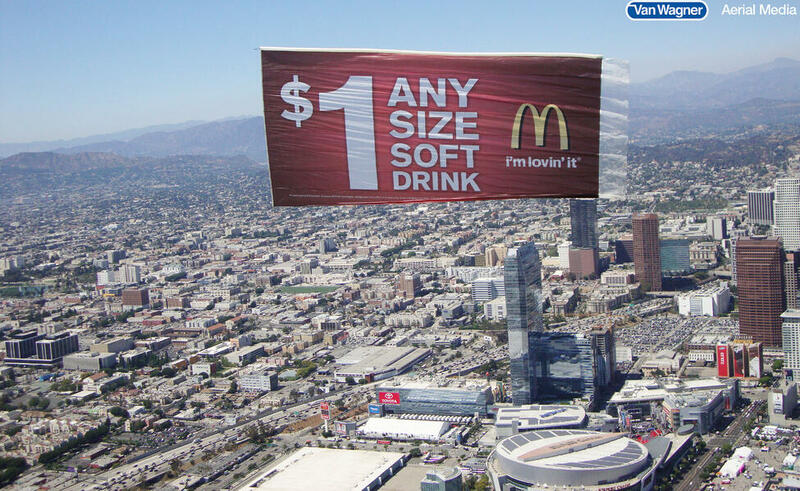 Not only is Los Angeles the place to be for young, and hopeful actors, but it is the perfect location to kick-start your aerial advertising campaign. 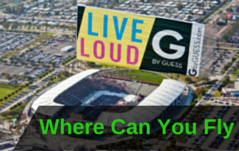 Whether it is banner towing in Los Angeles, a sky written message along Long Beach, or an unhurried blimp floating above the Staples Center, you are bound to get attention. Los Angeles is the second largest DMA in the US, and with that being said, anything advertised here is sure to get noticed. 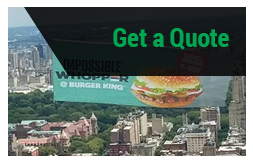 Associate a famous celebrity with your brand and add the combo to an aerial banner, and you are sure to get people interested in whatever you are marketing. Aside from the countless number of celebrity faces, Los Angeles is also home to several professional and collegiate sports teams. 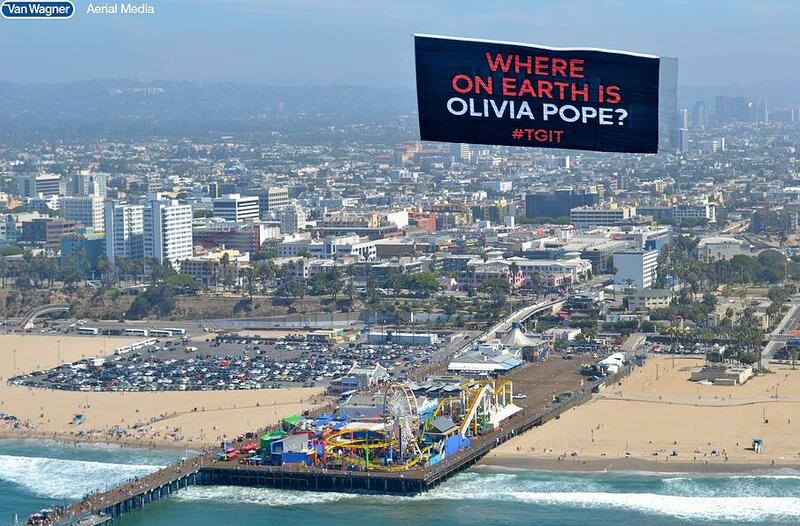 It also hosts events such as AVP’s Manhattan Beach Open, as well as the US Open of Surfing. These events draw in massive crowds and are ideal venues where aerial advertising goes above and beyond any other advertising medium. 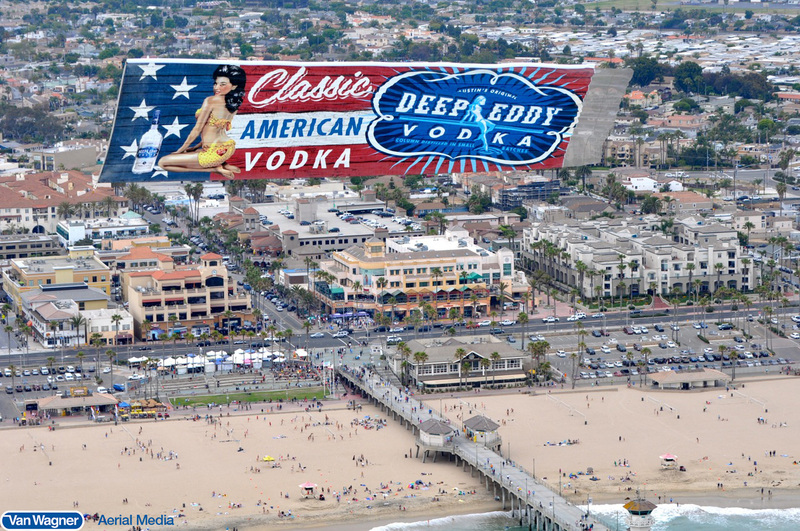 Aerial advertising at these events not only catches the eyes of the spectators, but even the individuals participating! 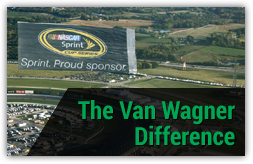 If you’re looking to capture the attention that your marketing campaign deserves, than Van Wagner Aerial Media is here to help. 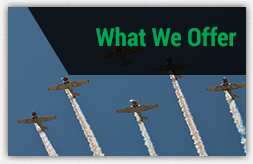 With the possibility of aerial banners, sky written messages, and blimps, one of our capabilities is sure to take your campaign to new heights.